Home » Plastic Injection Molding Process » How to Prevent Plastic Mold from Deformation? Even with the same resin, if the molding conditions are different, its shrinkage rate will be different. The shrinkage change rate is required to be small when precision injection molding. Try to make the expected shrinkage rate the same as the actual shrinkage. But it is difficult to make it in the actual process. 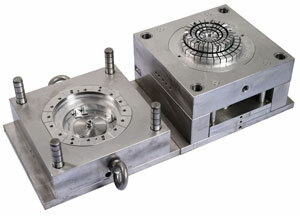 Generally, the molds need to be modified after mold trial. In order to better modify the mold, when designing the size of plastic mold concave part, the small value should be taken. And the large value should be taken as the mold designed size of plastic mold convex part. 3. Prevent plastic mold from deformation during plastic injection molding. (1) Gate number should be appropriate, gate should be balanced. (2) Select the correct gate shape and position, which can be selected according to the shape of plastic mold. 4. Prevent plastic part from deformation during demolding. If the shrinkage of material is relatively small, the plastic part will be prone to remain in the cavity when the molding pressure is high, which should be concerned. In addition, performing demold at the case of that the plastic part won’t be deformed, which is to avoid deformation during demolding.